3D Issue Introduces the First HTML5 Solution of its Kind! 3D Issue has officially launched 3D Issue version 8. This latest version has some major advancements, in fact it’s the first solution like it available to marketers and publishers! Launched today, Version 8 introduces a totally “Flash Free” digital publishing solution. This solution is the only tool on the market that offers the same, rich digital magazine experience in HTML5 that readers have come to expect in flash. As you have most likely heard, Flash has a lot of security problems, so much so that big companies like Google and Apple are already moving towards a Flash free environment. 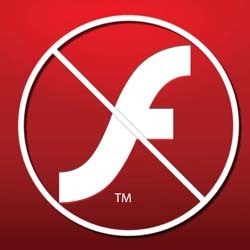 In fact, Adobe themselves, the company behind Flash has recommended to stop using it. “3D Issue has been providing digital publishing solutions for over ten years, and this release sees a huge change at the heart of the software” says Paul McNulty, Managing Director. Check out this pure html5 sample. · The text in the publications remains sharp and not pixelated, no matter how far in the reader zooms in. It’s an exciting time and saying goodbye to Flash marks a significant leap forward, The new version is available to download free for 14 days, check it out here.